The third line of Cairo's underground opened to the public on Tuesday morning, in the initial phase of an expansion that will eventually link Cairo University in Giza with the capital's international airport. The newly-opened route comprises five metro stations which link two of Cairo busiest squares: Ataba, just south of downtown, and Abbasiya, several kilometres to the northeast. The first phase cost a total of LE4.2 billion ($700 million) and will transport between 250,000 and 300,000 passengers per day, authorities say. The building of Cairo underground's third line is being led by a French consortium. When complete, it will stretch 43.5 kilometres and connect Cairo airport with Imbaba and Mohandiseen via 34 new metro stations. The second phase is set to connect Abbasiya with the northeastern suburb of Heliopolis, around 7 kilometres away. Some 60 per cent of the construction work on this phase is complete, according to Egypt's transport minister. Completion of the entire line is planned for the next four to five years, authorities say. Progress, however, has been disrupted several times. In September 2009, work on the Ataba-Abbasiya phase was delayed after a landslide hit the construction site on Al-Gueich Street. The third phase was due to be opened in January by Field Marshal Hussein Tantawi, Egypt's de facto leader, but the event was postponed due to what officials said was his busy schedule. In the end, neither Tantawi nor Prime Minister Kamal El-Ganzouri, who was scheduled to be there, attended Tuesday's opening. The building of Cairo's underground was oft-touted by Hosni Mubarak's regime as one of its major achievements, although it was planned by his predecessor Anwar Al-Sadat. 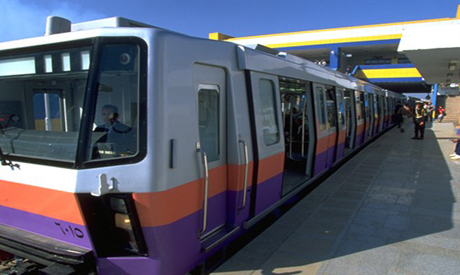 The first line opened in 1989. The website for Egypt's National Authority for Tunnels hails Cairo's metro system, somewhat improbably, as the country's 'fourth pyramid'.